"The belly rules the mind." - Spanish proverb. "Only the first bottle is expensive." - French proverb. "He who does not mind his belly will hardly mind anything else." - Dr. Johnson. "At the table with good friends and family you do not become old." - Italian proverb. "Tell me what you eat, and I will tell you what you are." – Jean Anthelme Brillat-Savarin. "The wise man chooses not the greatest quantity of food but the most tasty." - Epicurus. "The discovery of a new dish does more for human happiness than the discovery of a star." - Jean Anthelme Brillat-Savarin. First the basic definition: a RESTAURANT prepares and serves food and drink to customers. Meals are generally served and eaten on premises, but many restaurants also offer take-out and food delivery services. 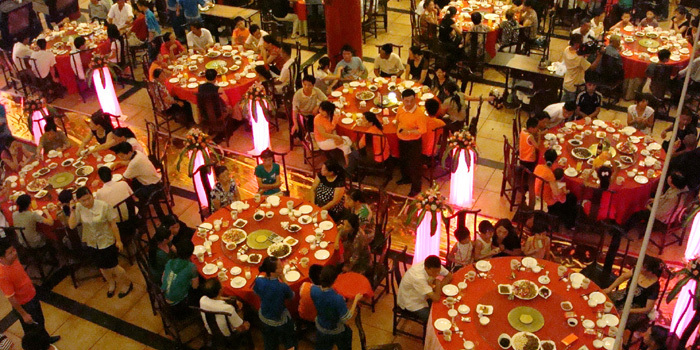 Restaurants vary greatly in appearance and offerings, including a wide variety of cuisines and service models. When it comes to food and drink, it is easy - in one sense - to identify the best. There were seldom any grounds for complaint about the meals served at the late El Bulli; the Château Pétrus is good even in indifferentv years; and Krug Grande Cuvée has no bad ones. This applies even to the humbler foodstuffs: the beans can be cooked badly, the truffle sliced too thickly. The champagne and the claret can be spoiled by serving them at the wrong temperature; and even a Paul Bocuse's legendary meals are less enjoyable if eaten in the wrong surroundings or in disagreeable company. That, of course, is why divine providence instituted restaurants - to remove these elements of haphazardness from the only pleasure most people experience three times a day. A CHEF is a person who cooks professionally for other people. Although over time the term has come to describe any person who cooks for a living, traditionally it refers to a highly skilled professional who is proficient in all aspects of food preparation. CHEF DE CUISINE, EXECUTIVE CHEF and HEAD CHEF: this person is in charge of all things related to the kitchen which usually includes menu creation; management of kitchen staff; ordering and purchasing of inventory; and plating design. Chef de cuisine is the traditional French term from which the English word chef is derived. Head chef is often used to designate someone with the same duties as an executive chef, but there is usually someone in charge of them, possibly making the larger executive decisions such as direction of menu, final authority in staff management decisions, etc. This is often the case for chefs with several restaurants. CUISINE is a characteristic style of cooking practices and traditions, often associated with a specific culture. Cuisines are often named after the geographic areas or regions that they originate from. A cuisine is primarily influenced by the ingredients that are available locally or through trade. Religious food laws, such as Islamic dietary laws and Jewish dietary laws, can also exercise a strong influence on cuisine. Regional food preparation traditions, customs and ingredients often combine to create dishes unique to a particular region. GOURMET is a cultural ideal associated with the culinary arts of fine food and drink, or haute cuisine, which is characterised by elaborate preparations and presentations of large meals of small, often quite rich courses. The term and its associated practices are usually used positively to describe people of refined taste and passion. For some, it holds a negative connotation of elitism or snobbery. A GOURMAND is a person who takes great pleasure in food. The word has different connotations from the similar word gourmet, which emphasises an individual with a highly refined discerning palate, but in practice the two terms are closely linked, as both imply the enjoyment of good food. AFTERNOON TEA | HIGH TEA - Wikipedia. 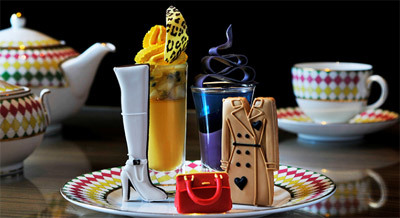 HighTea.com - "50 High Teas and Afternoon Teas All Over The World." 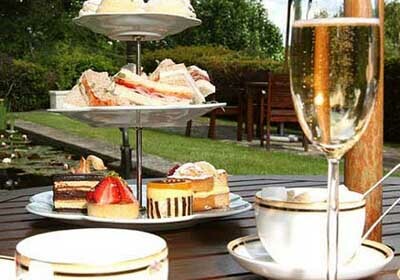 HISTORY OF AFTERNOON TEA - AfternoonTea.co.uk. HISTORY OF HIGH TEA - What's Cooking America. 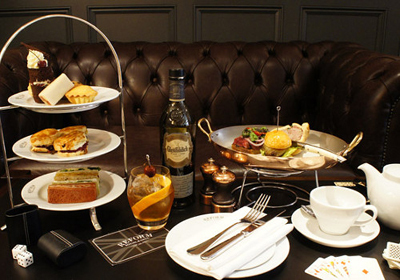 Is this Britain's best Valentine's afternoon tea? - The Telegraph. 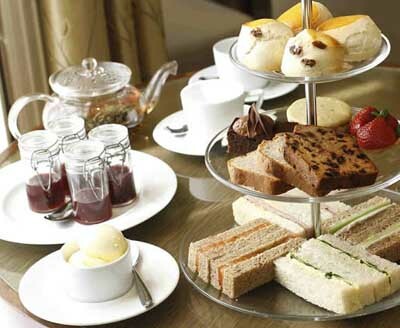 Mouthwatering afternoon tea recipes - The Telegraph. 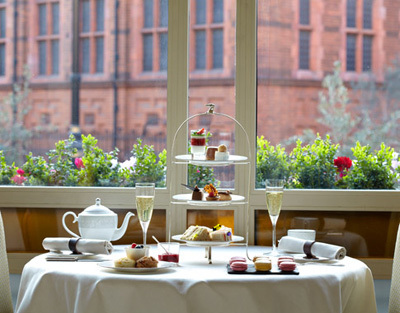 TEA GUILD TOP AFTERNOON TEA AWARDS 2013 - "Now in their 28th year, The Tea Guild Awards are considered the 'Oscars' of the tea world, with world-famous London hotels and tea rooms competing for the highly coveted honour." UNITED KINGDOM TEA COUNCIL - independent non-profit making body dedicated to promoting tea & its unique story for the benefit of those who produce, sell & enjoy tea. 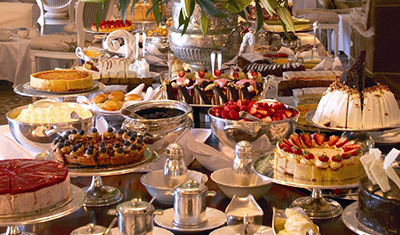 Afternoon tea at Belmond Mount Nelson Hotel - 76 Orange Street, Cape Town, 8001 South Africa. "At Belmond Mount Nelson Hotel, afternoon tea is a true institution." Enjoy delicate finger sandwiches filled with rare roast beef and rocket, smoked salmon, egg mayonnaise or cucumber. Follow with a delectable dark chocolate cake, lemon meringue and freshly baked scones with clotted cream and preserves. The signature Mount Nelson Tea has been expertly blended from six teas: Darjeeling, Kenya, Assam, Keemun, Yunnan, Ceylon, and rose petals from our garden. In addition, we offer an array of leaf and flowering teas. Afternoon tea at Claridge's - London, England, U.K. "Claridge’s serves the best afternoon tea in London. We received 'The Tea Guild's Top London Afternoon Tea 2011' award, the highest accolade in the tea world." Afternoon Tea at Dean Street Townhouse - London, England, U.K. Afternoon Tea at Fairmont Empress - Victoria, BC, Canada. Afternoon Tea At Fortnum & Mason - London, England, U.K. 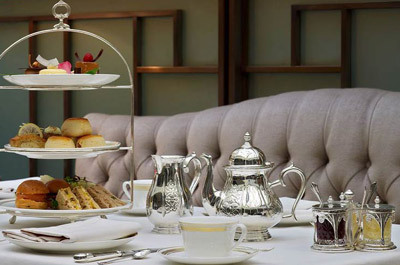 Afternoon Tea at Four Seasons at Park Lane - London, England, U.K. 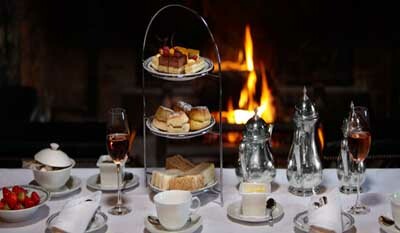 Afternoon Tea at Great Fosters - Surrey, England, U.K. 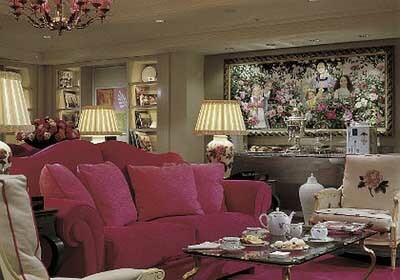 Afternoon Tea at Grosvenor House - London, England, U.K. Afternoon Tea at Hotel Amigo - Brussels, Belgium. 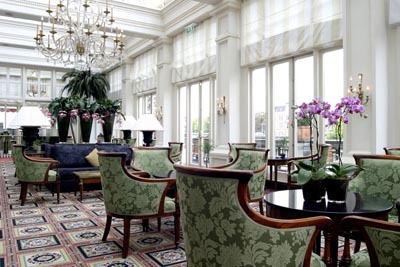 Afternoon Tea at InterContinental Amstel - Amsterdam, The Netherlands. Afternoon Tea at InterContinental London Park Lane - London, England, U.K. 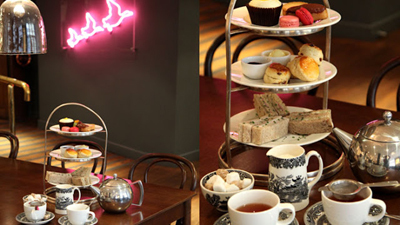 Afternoon Tea at Liberty - London, England, U.K. 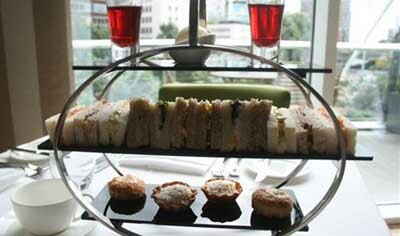 Afternoon Tea at Lowry Hotel - Manchester, England, U.K. 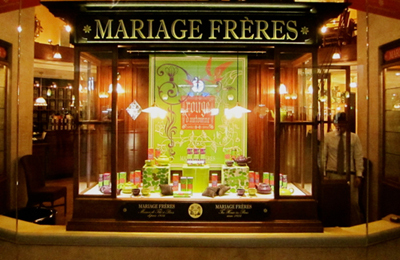 Afternoon Tea at MARIAGE FRÈRES - since 1854. Paris, France. Afternoon Tea at Montague on the Gardens - London, England, U.K. 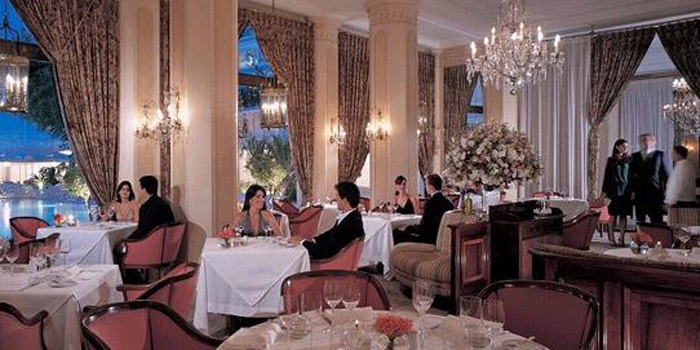 Afternoon tea at Mount Nelson Hotel - Cape Town, South Africa. "The signature Mount Nelson Tea has been expertly blended from six teas: Darjeeling, Kenya, Assam, Keemun, Yunnan, Ceylon, and rose petals from our garden." Afternoon Tea at Pennyhill Park Hotel - Surrey, England, U.K. 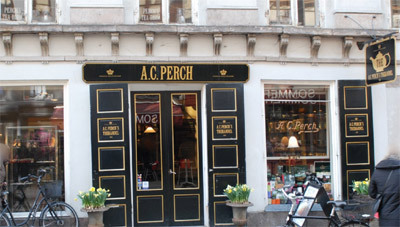 Afternoon Tea at PERCH'S TEA-ROOM - Copenhagen, Denmark. Afternoon Tea at Royal Garden Hotel - London, England, U.K. 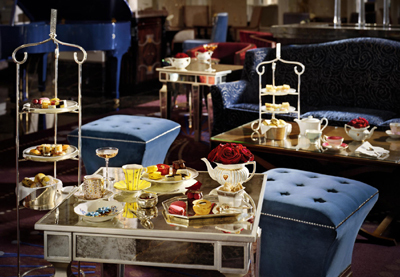 Afternoon Tea at Royal Horseguards Hotel - London, England, U.K. 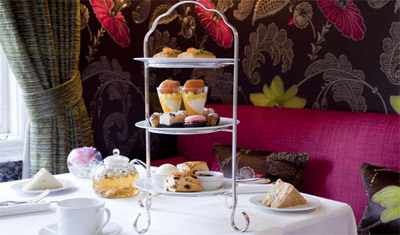 Afternoon Tea at Sanctum Soho Hotel - London, England, U.K. 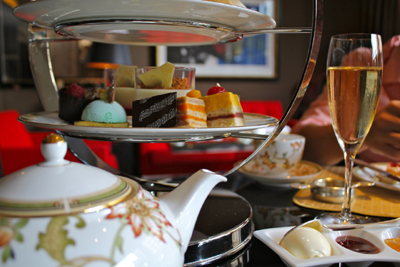 Afternoon Tea at Sofitel St James - London, England, U.K. Afternoon Tea at THE ATHENÆUM HOTEL - London, England, U.K. Recipient of the Top London Afternoon Tea 2012 Award of Excellence from The Tea Guild. Considered the 'Oscars' of the tea world. 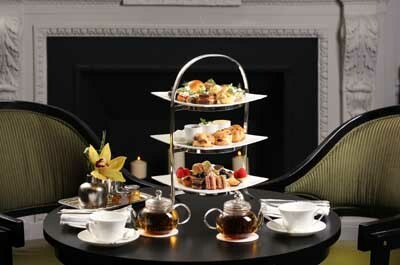 Afternoon Tea at The Balmoral Hotel - Edinburgh, Scotland, U.K. 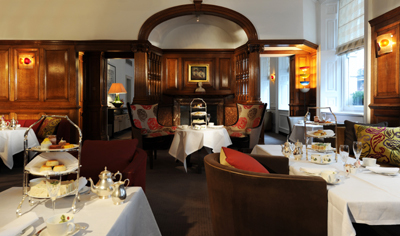 Afternoon Tea at The Bingham - Surrey, England, U.K. 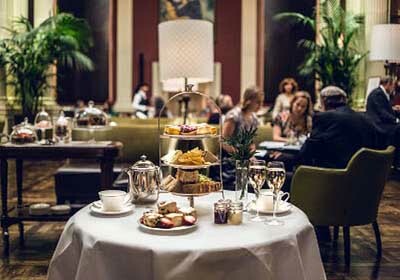 Afternoon Tea at The Capital - London, England, U.K. 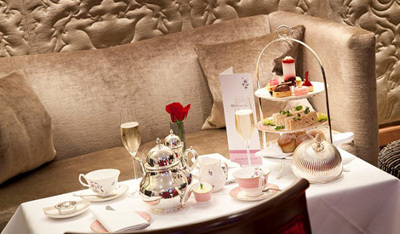 Afternoon Tea at The Chesterfield Mayfair - London, England, U.K. 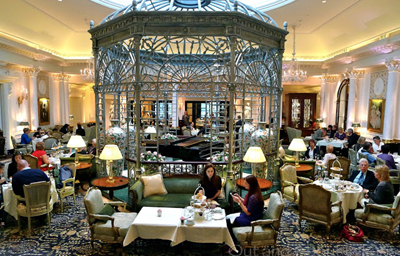 Afternoon Tea at The Connaught - London, England, U.K. 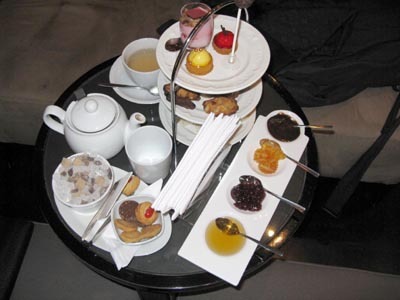 Afternoon Tea at The CORINTHIA HOTEL - London, England, U.K. Afternoon Tea at The Dorchester - London, England, U.K. Afternoon Tea at The Drake Hotel - Chicago, IL, U.S.A. AFTERNOON TEA AT THE GEORGIAN - The Georgian Restaurant at Harrods, London, U.K. "The Georgian's quintessentially English afternoon tea stands amongst London's finest and, when enjoyed in such regal surroundings, is an experience to be savoured, remembered and repeated. 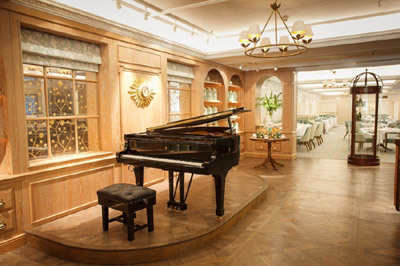 Freshly cut sandwiches, scones and pastries are accompanied by your choice of tea from Harrods private tea gardens." Afternoon Tea at The Goring Hotel - London, England, U.K. The Goring has been serving its quintessentially English Afternoon Tea since the day the hotel opened in 1910 and after 103 years, has mastered the perfect menu - with everything from deliciously traditional British brews, to tea-leaves sourced from the foot of the Himalayas. 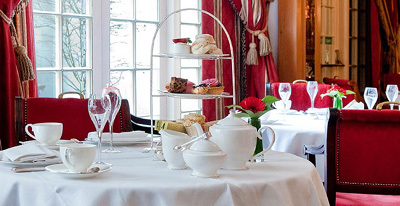 Such excellence has resulted in The Goring’s being awarded with one of the highest accolades from the UK Tea Guild, The 2013 Top London Afternoon Tea Award. 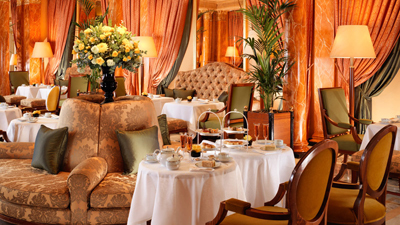 Afternoon Tea at THE LANESBOROUGH HOTEL - London, England, U.K. 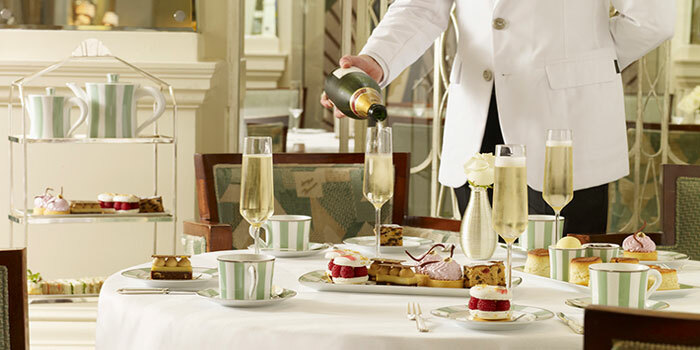 Afternoon Tea at the Langham - "A tradition since 1865." 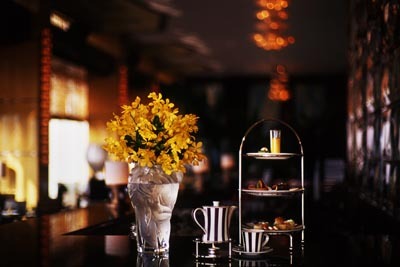 The centre piece of the hotel, the dazzling Palm Court is famed as the place where the tradition of afternoon tea was born over 140 years ago, an indulgence that lives on today as Tiffin at The Langham. 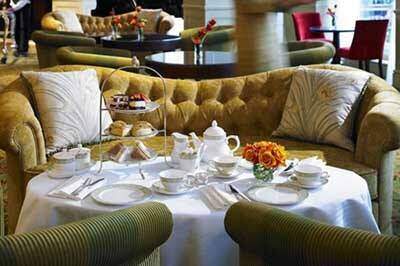 Afternoon Tea at The Mandeville Hotel - London, England, U.K. Afternoon Tea at The Peninsula - Hong Kong, (SAR, China). Afternoon Tea at The Peninsula - Shanghai, China. 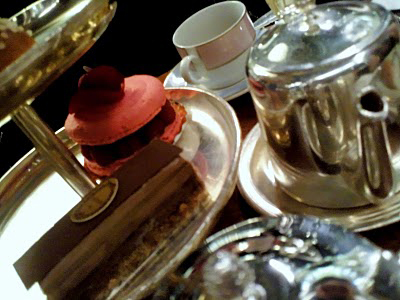 Afternoon Tea at The Pierre - New York City, NY, U.S.A. 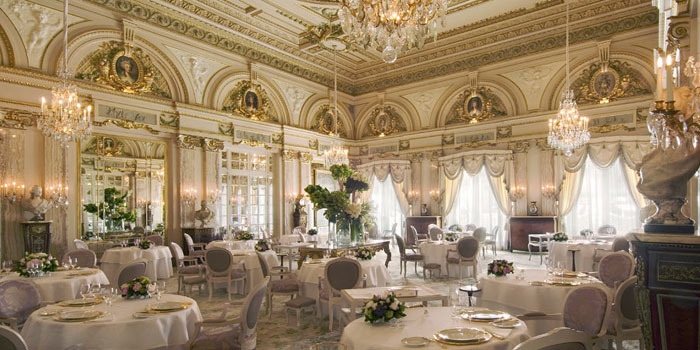 Afternoon Tea at The Plaza - New York City, NY, U.S.A. 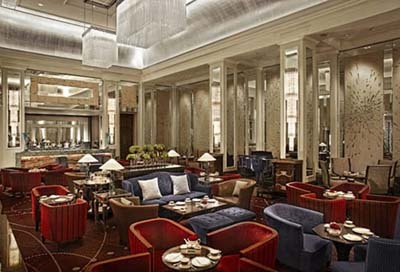 Afternoon Tea at The Portman Ritz-Carlton - Shanghai, China. 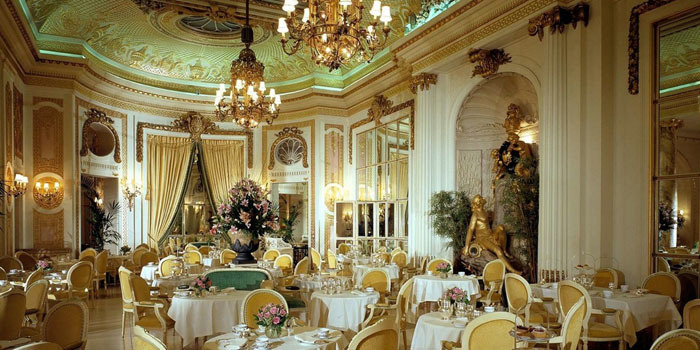 Afternoon Tea at The Ritz - London, England, U.K. Afternoon Tea at The Savoy - London, England, U.K. 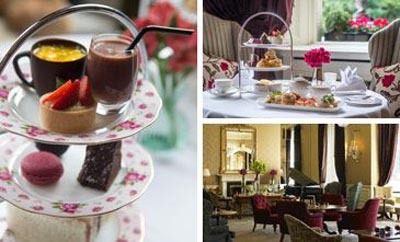 Afternoon Tea at The Shelbourne - Dublin, Ireland. 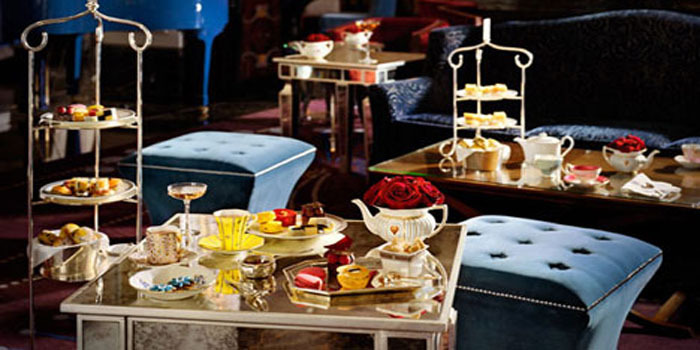 Afternoon Tea at The Waldorf Astoria - New York City, NY, U.S.A. Afternoon Tea at The Wolseley - London, England, U.K.
English Tea Room at BROWN'S HOTEL - London, England, U.K. FASHION AFTERNOON TEA | PRÊT-À-PORTEA AT THE BERKELEY HOTEL - London, England, U.K.
High Tea at LUK YU TEA HOUSE - Central, Hong Kong, (SAR, China). l'heure du thÉ at LADURÉE - since 1862. 75, avenue des Champs Élysées, 75008 Paris, France. l'heure du thÉ at LADURÉE at Harrods - London, England, U.K. Tea at The Kaboku Tearoom - Kyoto, Japan. The Tea Ceremony at Metropole Hotel - Venice, Italy. 2017 World's 50 Best Restaurants - Restaurant Magazine. AUSTRALIAN GOURMET TRAVELLER - Restaurant Awards. BOCUSE D'OR - the Concours mondial de la cuisine, World Cuisine Contest is a biennial world chef championship since 1987. Named for the chef Paul Bocuse, the event takes place during two days near the end of January in Lyon, France at the SIRHA International Hotel, Catering and Food Trade Exhibition, and is one of the world's most prestigious cooking competitions. CHEF'S CHOICE AWARD - The World's 50 Best Restaurants. EAT OUT AWARDS - by Time Out. Gourmand International - founded in 1995 by Edouard Cointreau. It is free competition and open to publishers in all languages and countries. The Gourmand Awards celebrate global cookbook and wine book publishing and feature many world renowned chefs each year. It is sometimes described as the "Oscars of food awards in Paris". INTERNATIONAL STAR DIAMOND AWARDS - by American Academy of Hospitality Sciences. Prestigious award of true excellence in hospitality, gastronomy, attitude, quality, cleanliness and above all service. JAMES BEARD FOUNDATION AWARDS - often called "The Oscars of Food." Lifetime Achievement Award - by Restaurant Magazine / The World's 50 Best Restaurants. 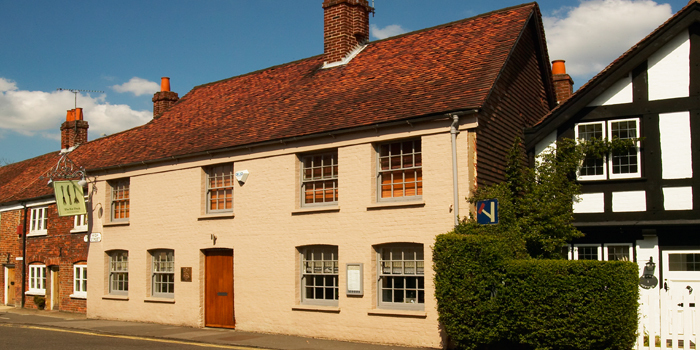 MICHELIN GUIDE AWARDS - the guide awards one to three stars to a small number of restaurants of outstanding quality. NATIONAL RESTAURANT AWARDS - "The largest gathering of chefs and restaurateurs in the UK, the event will also include the inaugural Estrella Damm Gastronomy Congress with Restaurant magazine, which will feature cooking demonstrations from Michelin-starred chefs from around the world." Observer Food Monthly Awards - since 2003. Reward the best in British food and drink. 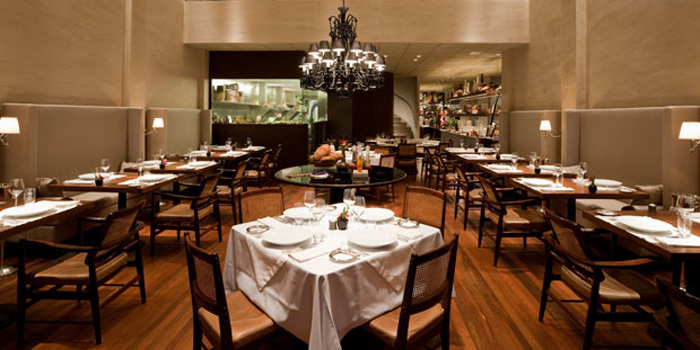 Opinionated About Dining - 2014 U.S. Top 100 Restaurants. SCOTTISH RESTAURANT AWARDS - "Showcasing the very best in the Scottish industry." SUSHI AWARDS - by Eat-Japan. Time Out Food AWARDS - Beijing. Time Out Food & drinks AWARDS - New York City. 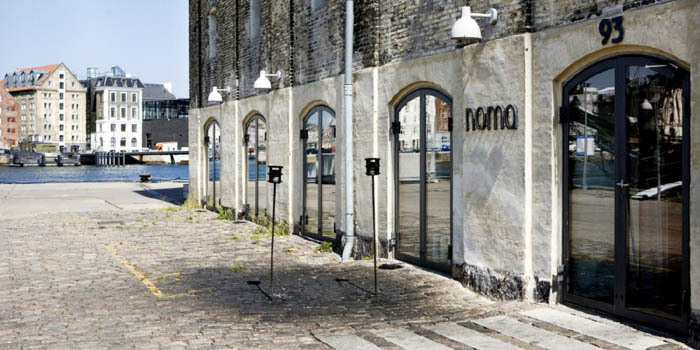 White Guide Global Gastronomy Award - "Best Restaurants in the Nordics." WINE SPECTATOR RESTAURANT WINE LIST AWARDS - recognize restaurants whose wine lists offer interesting selections, are appropriate to their cuisine and appeal to a wide range of wine lovers. WORLD SUSHI CUP JAPAN - comprises of two events: the individual competition and the restaurant competition. 379 best Best Catering Ideas images on Pinterest - "A place for the world's best caterers to share their favorite dishes and ideas." leading caterers of America (LCA) - "The Best of the Best in Catering and Events." London's haute caterer Justin Horne - Evening Standard. NEW YORK CATERERS' DIRECTORY - New York Media. The Wedding Caterers To Know Now - British Vogue. Top 30 catering companies in Britain - Looking to Cook. Wolfgang Puck Shares His Oscar Party Recipes - Architectural Digest. All the king's men - "Artisan Event Caterers." We bring flair and contemporary style to events and fine dining of all shapes and sizes. From private, intimate dinners at home, to fashion-line and new product launches on a grand scale, we keep you at the centre of the step-by-step decision making process, so that your every need is catered for. London, England. ANN SATHER - "In addition to our three dine-in locations, Ann Sather has a catering team dedicated to ensuring our “good food” philosophy is carried through our corporate catering services and special event dining." Chicago, IL, U.S.A.
ARAMARK - "Bringing Higher Quality and Years of Experience to the Table." Over the past 80 years, we’ve served food to millions of people from all walks of life, in all places, all around the world. And we’ve used our array of resources and expertise to cultivate amazing dining experiences that delight our customers, deliver success for our clients, and empower people to lead healthier lives every single day. Balancing innovative solutions and service excellence, we serve more than 2 billion meals each year. Headquartered in Philadelphia, ARAMARK has approximately 255,000 employees serving clients in 22 countries. ARIA CATERING - "Launched in November 2010. Conceptual and unique catering with menus created by Matt Moran, coupled with seamless service and professional management, ARIA Catering creates truly memorable events and experiences in and around Sydney." In May 2012, ARIA Catering became the exclusive resident caterer at Sydney Opera House. BALIK Micro Catering Service - "Celebrate with Balik." The most precious gift that you can offer your guests is time – time for looking forward to greeting them, for engaging in a relaxed conversation and for devoting your undivided attention to them. The Micro Catering Service of Balik gives you precisely this time and is available to you for your private or business reception, cocktail party or quite simply for the guests you welcome to your home. Switzerland. Black Olive CATERING - Servicing both corporate and private events. North Melbourne, Victoria, Australia. Blue Plate - "Blue Plate opened its first kitchen in 1983 and today ranks among the top catering companies in Chicago. With preferred status at more than 85 venues, Blue Plate has earned national recognition for its standards of service and creativity." BOMPASS & PARR - provides full catering services; and provides food and design consultancy. The studio now consists of a team of creatives, cooks, designers, specialised technicians and architects. With Sam Bompas and Harry Parr the team works to experiment, develop, produce and install projects, artworks, jellies and exhibitions, as well as archiving, communicating, and contextualising the work. Bompas & Parr also collaborates with specialist technicians, engineers, artists, scientists, musicians and many other disciplines to create wondrous events. Bonfire CATERING - "We bring the magic of a wood fired catering experience to you, wherever you may be." Ontario, Canada. Bubble Food - since 1999. "Innonvative event catering in London." Bespoke, luxurious and innovative, Bubble is the haute couture of the events world. Whether we are creating boutique or large-scale experiences for private individuals, world-class brands or corporate agencies, our impeccable standards remain the same. Personal treatment and attention to detail throughout our range of luxury event services are paramount, as our impressive client list and portfolio of London’s most desirable venues attest. Bubble Food is London’s creative food design and events production company providing unique, fresh and tailored catering services. By Word of Mouth - "Exquisite Food - Elegantly Executed." One of the UK’s most admired party design and event catering companies and has been a leader in its industry for over 30 years. We create menus that are in tune with the seasons and have a focus on exquisite flavour, beautiful presentation and a philosophy for using ethically produced, sustainable ingredients. London, England. CANOLI KINGS CATERING - "Voted Best Catering Company in Los Angeles." Celebrities, corporates, events, backyard BBQs, weddings, red carpet events, personal chef services, pizza parties, just about any event or function you can imagine, we have carefully executed and made a huge success. CATERING by Uptown - "We offer a diverse selection of wedding venues in the Maryland, Washington DC, and Virginia area. We also offer the ability to coordinate services at over 100 of the best reception halls, banquet facilities and wedding venues in the area." CELLAR SOCIETY - a boutique event catering company, specialising in high style gastronomic events in the UK and overseas, primarily working at central London locations. C'est Si Bon - "Gourmet Grocer and Catering." Every client is special to us, because we know that when you come to C’est Si Bon, your event is special to you. Whether it is your wedding reception or a casual get-together for friends, we will put you at ease with our professionalism and attention to detail. Palm Beach, Florida, U.S.A. CHEF ADAIR - "Private Chef & Catering in the Wine Country." Since 2003, Chef Adair has been specializing in private chef services and boutique event catering in Northern California’s wine country. We use local, fresh, sustainable, organic ingredients to create what we call "American Haute Cuisine." It's food you won't soon forget. With your vision heard, and our detail-focused and experienced staff, we leave nothing to chance for your dining experience. COMPASS - established in New York 40 years ago and brought to the UK in 2001. "Provides the widest portfolio of foodservice solutions in the world." Our Core Concepts food programme offers you a range of our own concepts or our talented executive chefs can create a range of bespoke solutions. The programme has been carefully developed to meet customers' needs. We survey over 30,000 customers every year to understand how we can deliver the best solutions to fit the latest culinary trends in the industry. Craig's - "Having a special occasion? Let Craig’s cater your next event. Our famous cuisine and impeccable service allow you and your guests to enjoy a truly unforgettable experience, wherever you are." 8826 Melrose Avenue, West Hollywood, CA 90069, U.S.A.
DAYLESFORD - "We have been farming organically for over 25 years with a simple passion for real food." Whether you are planning or hosting an event at our Farmshops or elsewhere, Daylesford has everything you need to create a truly special occasion. From the breathtaking, versatile spaces at our flagship Cotswolds venue, to our award-winning Cookery School, to catering for parties, our team can create bespoke décor and menus specific to your event. DEAN & DELUCA - since 1977. "Purveyors of Fine Food. Let Us Cater to You." From intimate gatherings to extravagant corporate events and weddings, our DEAN & DELUCA Catering Team will exceed your highest expectations in terms of quality and service. Our dedicated catering professionals will assist you in creating a truly unique epicurean experience for you and your guests. With the ability to create a tailored catering menu, DEAN & DELUCA offers first-class catering to meet the needs of your event while exceeding your highest expectations. DH CATERING - "From vintage luaus to high-end celebrity events, we offer a wide range of wedding and event services including design, planning + coordination, unique locations, food and bar catering, florals + decor, entertainment, audio-visual, still photography, videography, custom itineraries, travel & concierge services and more. Honolulu, Hawaii, U.S.A. ELEGANT AFFAIRS - "Caterers and Event Planners in New York City, Long Island and the Hamptons." New York celebrity caterer, serving social, corporate, and non-profit organizations in Manhattan, Long Island, and the Hamptons. Whether you are planning a corporate event in Manhattan, a lavish Long Island mansion wedding, or a Hampton’s beach soiree, Elegant Affairs is New York’s caterer of choice. Entertaining at home and need a caterer? Elegant Affairs is the caterer to call. Delicious food combined with impeccable service and stylish visual presentation are the three key ingredients of Elegant Affair’s success." ELIOR UK - "The market-leading catering, hospitality and facilities management group. We are passionate about providing great food, excellent customer service and exceptional value to all our clients." FAUCHON RÉCEPTIONS - since 1886. "A contemporary vision of the Art of Entertaining." Our innovative approach to French cuisine - offering exceptional tastes, original presentations and new ways to savour fine foods - combines our organisational expertise with a contemporary take on traditional gourmet dining to provide ever more creative, customised services. Paris, France. FEAST & FÊTES - "Catering by Daniel." Chef Daniel Boulud and Managing Director Jean-Christophe Le Picart are longtime partners in Feast and Fêtes, widely respected as one of the very best in the field of fine catering. Together they offer you a rare synergy of culinary art, decades of experience, creative vision, and flawless organization. Feast and Fêtes is available to orchestrate events either in your home or a venue of your choice in New York City and beyond. 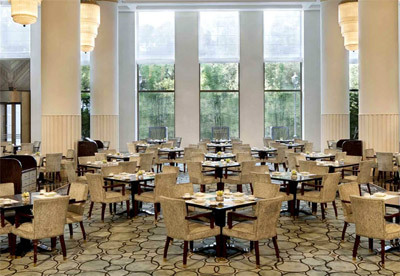 We bring you the signature dishes DANIEL, themed menus of Café Boulud, the charcuterie of Bar Boulud and even the famous burgers of db bistro moderne. Our 80+ chefs take pride in preparing these specialties for you and are also happy to accommodate all and any culinary requests that will help you brand your event as a personal and unique statement of your own entertaining style. GAMMA CATERING - "We have been organising catering and events since 1986. In harmony with your wishes and requirements, GAMMA CATERING will organise your event to provide the optimum in every respect." Switzerland. GAUDEFROY RÉCEPTIONS - "Gaudefroy Réceptions Traiteur de France propose des prestations personnalisées aux professionnels et aux particuliers organisateurs d’événements. Notre volonté est d’apporter à chacun de nos clients une réponse adaptée aux circonstances : choix du lieu, conception des menus, livraison, mise en place, service mais aussi décoration... Rien n’est laissé au hasard; des équipes de professionnels, rigoureuses et créatives, vous accompagnent et se chargent de la réussite de votre réception. A travers toute la région Provence-Alpes-Côte-d’Azur, nous intervenons dans la réalisation de vos cocktails, apéritifs dînatoires, repas assis et buffets." Provence, France. GUIDI LENCI - since 1910. "The art of banqueting." We are catering company that operates and collaborates with many venues, privates and corporates all over Italy and abroad. Professionalism and refined creativity combined with care, passion and tradition have always been the key elements that distinguish the brand Guidi Lenci, of Filippo and Andrea, in high couture cuisine. Guidi is a prestigious Banqueting company, that offers a wide range of services, for any type of event, from home parties to company meetings, from wedding receptions to art openings and performances. Florence, Italy. JOSÉ ANDRÉS CATERING - "Award-winning chef José Andrés and his team at ThinkFoodGroup offer a wide variety of authentic cuisines, delectable flavors and creative touches from 21 celebrated restaurants. Our team responsible for Washington, DC’s popular and award-winning dining concepts will work with you to plan your next event. From a casual gathering to an elegant affair, we strive to make each and every event unique while offering the best our concepts have to offer." LENÔTRE RECEPTIONS - since 1947. "Your Desires Are Our Orders." Who has never dreamt of inviting the family and friends to a memorable event where everyone will be left with wonderful memories? Expert in organising events, the House of Lenôtre will accompany you in the conception and implementation of receptions in both France and abroad. A cosy or extravagant venue, devising the menu, wine advice from a Sommelier, florists, DJs, sound and lights, animations, valet ... let your wildest desires speak out, we take care of the rest! Paris, France. On Air Dining - since 2010. "A quiet revolution in business aviation catering has begun... On Air offers a level of cuisine never experienced before in business aviation & travel." After spending his formative years as a chef in some of London’s most critically acclaimed Michelin starred restaurants, and then delivering that same level of food onboard UHNWIs yachts and then at the America’s cup in Valencia, our CEO, Daniel Hulme, had a vision that has taken him to where he is now. Since then we have gone from strength to strength. Building a new bespoke facility here at Stansted Airport, gaining our 5 Star rating from the Food inspectors and now opening one of the only Halal certified private jet catering kitchens in the UK. Ottolenghi Catering - "Our first shop opened 14 years ago and since then we have been catering to business and private clients replicating the fabulous quality and flavours that Ottolenghi is known for. We can cater for all kinds of events including office breakfasts, canape parties, lunch buffets or boxes, sit-down meals, weddings, press days and private parties. You may hire our waiting staff and they will ensure that all the food is beautifully plated and that all of your guests are well looked after." London Area, U.K. Pink Avocado CATERING - since 2006. "The finest catering company in Austin!" Weddings and Commitment Ceremonies are inspired by you and we believe your food should be too. We are a full service custom caterer which means we'll manage your catering details from beginning to end. We'll create a personalized menu and handle your bar service as well as all of your staffing needs. We can also facilitate your rentals and recommend talented vendors that we've built relationships with over the years. And as a certified Kosher caterer, we are capable of meeting the needs of all of our clients! Texas, U.S.A.
QUINTESSENTIALLY EVENTS - GALA DINNERS - "Established in 2005 by Anabel Fielding and Caroline Hurley, Quintessentially Events has offices in London, Côte d’Azur, Geneva, Dubai, New Delhi, Hong Kong and Singapore. 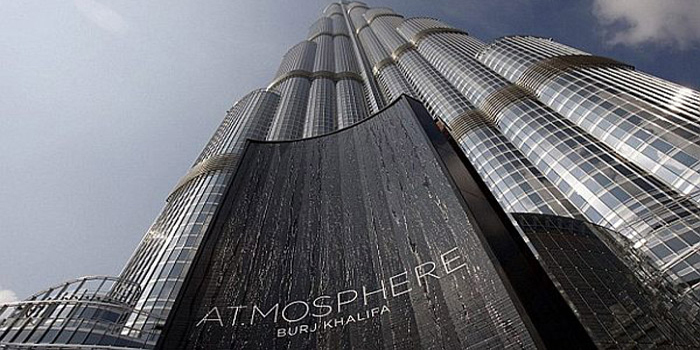 We have the capability to create legendary experiences wherever in the world you may be." Renaissance CATERING - "Las Vegas' Premier Caterer." Voted 'Caterer of the Year' by National Association of Catering Executives. If you’re looking for the best Las Vegas catering company, look no further, Renaissance Catering not only makes amazing food, we will guide you through the process of selecting china, linen, entertainment and design that will ensure a perfect event for you and your guests. Renaissance Catering also offers Liquor Catering. It’s not by accident that we’ve become one of the top catering and event planning companies in “Fabulous Las Vegas”, we have hard working professional and friendly staff, we love what we do, and it shows! We don’t just plan events, we plan experiences and you decide what experience your guest will have at your event. Searcys - "Redefining dining." Banquets & meetings. 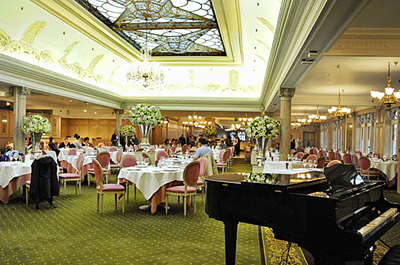 Since 1847, Searcys has been one of the UK’s most prestigious catering companies. With a passion for quality and an ability to execute an event to the very highest standards, we have developed a world-famous reputation for catering and hospitality at our iconic, exclusive venues for hire in London, the City and Bath. Squid & Pear - "We’re a multi award-winning catering company set up and run by epicurean sisters, Lisa & Claire. We’ve been providing sustainable, nutritious and damned delicious catering since 2011." London, England. 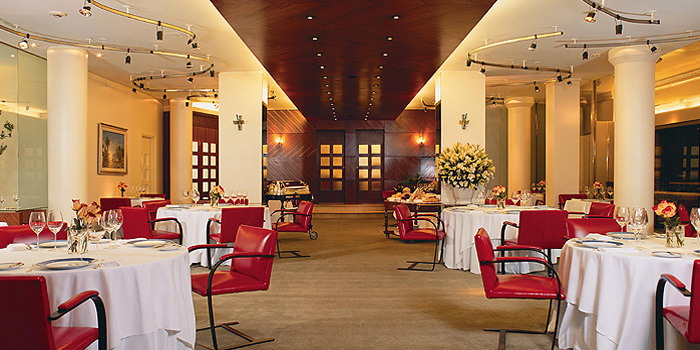 The London Kitchen - "The London Kitchen team have done everything from dinner for two to banquets for over 1,000. We pride ourselves on our ability to create unique, seasonal catering for your event. Whether you are looking for bespoke menus to fit with a themed evening, witty dishes that play on the best of British ingredients or mouth-watering canapés guaranteed to keep people talking, look no further." Together with Solotel - "Making every event an experience." Every event should be an experience. Together with Solotel curates incredible events that are truly unique, from a corporate conference or business lunch, a birthday or christening celebration to the wedding of your dreams. We will make your event an experience to remember. Top Hat CATERING - "Luxury Catering Services." 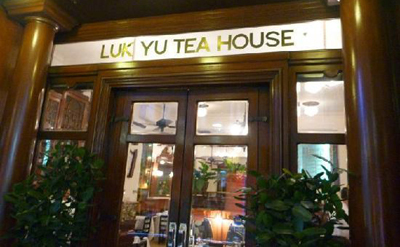 A perfect blend of sensational food, inspiring ideas and professional staff. 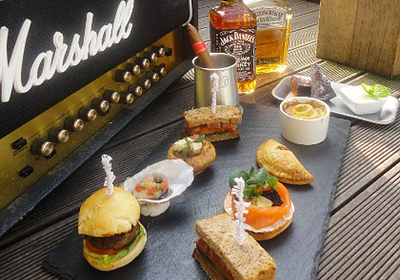 Established in 2007, TopHat offers quality catering services and makes delicious food for luxury events in London. From corporate catering, to special occasions such as weddings, engagement parties and personal celebrations, our experienced event management team will help you organise an event to remember. 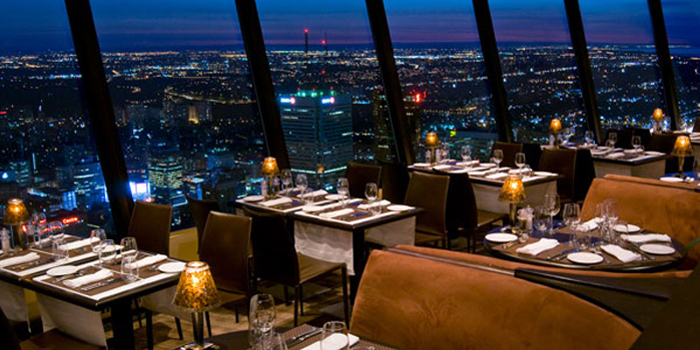 Top of the World Restaurant - "Enjoy Private Dining With a View." Our private Dining Rooms offer distinctive menus and breathtaking views of Las Vegas for groups of 10 or more. Your exclusive dining experience will include a variety of customized options prepared by our award-winning chefs and served by your own private wait staff. A private bar, wine service, cakes for any occasion and complimentary admission to the Stratosphere Tower Observation Decks are also included. Special requests will be accommodated. Las Vegas, NV, U.S.A.
Vegan Peasant CATERING - "Canapés & bowl foods that will make your mouth water!" Our classically trained chef will collaborate with you to make your next event a truly memorable experience. You can specify the level of service best suited to your event. We can arrange plate, glass and cutlery hire, with candles and flowers if you’d like, and would be happy to discuss any more specific venue-dressing instructions you may have. London, England. 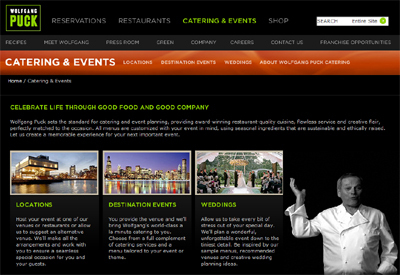 WOLFGANG PUCK Catering - "Creative Catering For Extraordinary Events." Wolfgang Puck consistently redefines event catering. His famous cuisine is presented with flawless service allowing you and your guests to enjoy a restaurant-quality experience. Every menu features seasonal and sustainable ingredients, carefully crafted around your needs and taste for a truly unforgettable experience. Does anybody still care about the Michelin Guide? - The Telegraph. Gourmand World Cookbook Awards - founded in 1995 by Edouard Cointreau. It is free competition and open to publishers in all languages and countries. The Gourmand Awards celebrate global cookbook and wine book publishing and feature many world renowned chefs each year. It is sometimes described as the "Oscars of food awards in Paris". Mapped: Every Michelin-starred restaurant on Earth - The Telegraph. pick of autumn's best cookbooks - The Telegraph. 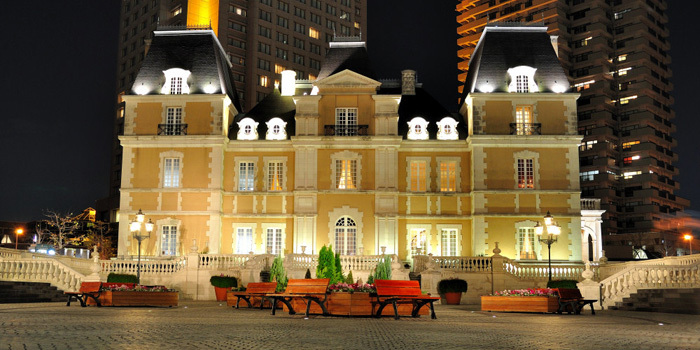 Tokyo holds onto its crown as city with the most Michelin stars - CNN travel. 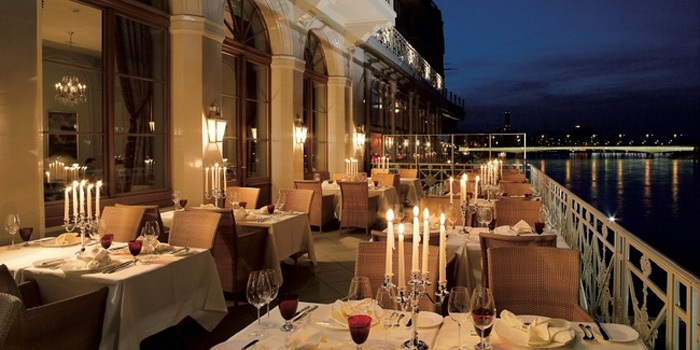 1,000 remarkable restaurants - LA LISTE. A Cookbook That Educates as Well as Inspires - The New York Times. A FULL BELLY - a weblog about eating well. A GIRL HAS TO EAT - a food blog about restaurants, culinary adventures, cookery school & more! ALAN RICHMAN - "The most decorated food writer in history." He has won 14 James Beard Foundation Journalism Awards for excellence in culinary writing. American Academy of Hospitality Sciences - "Fine Dining & Chefs." AMERICAN FARM TO TABLE - "Reviews and contact information for a select number of the best USA restaurants featuring farm to table ingredients." ANDY HAYLER'S RESTAURANT GUIDE - "In 2012 there were 109 three Michelin star restaurants in the world, and I have eaten at all of them." APPETITE MAGAZINE - "Tickle your taste buds..."
AUSTRALIAN GOURMET TRAVELLER MAGAZINE - gourmet recipes, restaurant reviews. BEST EMERGING CHEFS AND CREATORS - & Creators / Thinkers in the Kitchen. 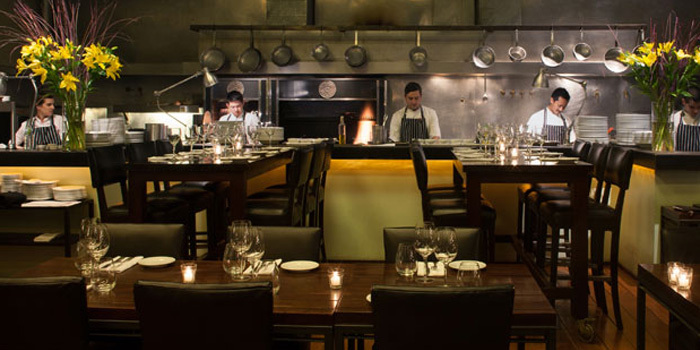 BLACKBOOK MAGAZINE - New York restaurants. BON APPÉTIT MAGAZINE - recipes, menus, cooking videos, and food blogs. Bottin Gourmand - "Guide des restaurants et hôtels de France." CHOWHOUND - "Where everything and anything about food, restaurants, drinks, cooking, and eating is discussed." Cook's Illustrated - since 1993. American cooking magazine. It accepts no advertising and is characterized by extensive recipe testing and detailed instructions. The magazine also conducts thorough evaluations of kitchen equipment and branded foods and ingredients. culinary insights - serious reviews of top end restaurants by "someone travels the world to eat at some of the best restaurants in remote places. Who tries to understand the cooking of some of those brilliant chefs by amateurishly trying to replicate their recipes? Who wants to share his dining and cooking experiences with the likes of him?" Delicious - "Find a recipe for every occasion." We aim to be the magazine that the UK’s growing band of food lovers can't wait to get their hands on each month, an unashamed celebration of food. EAT THE SEASONS - "What's good to eat this week?" EGULLET.ORG - "A service of the eGullet Society for Culinary Arts & Letters." A 501c3 nonprofit organization dedicated to advancement of the culinary arts. 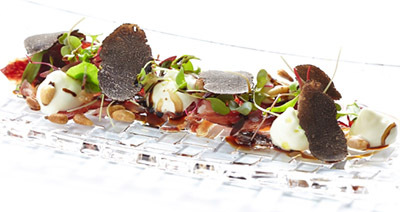 Elite Traveler - "Top 100 Restaurants in the World." FELIX HIRSCH'S TOUR DE TABLE - in-depth reviews from a very knowledgeable diner and keen cook now living in London. FINE-DINING-GUIDE - "The Home of Fine Dining." Fine Dining Lovers - since 2011. "The fine dining magazine for foodies by S.Pellegrino and & Aqua Panna: news, people, events, recipes, videos." Inspirational stories, chef interviews, daily blogs, videos, photos and recipes: whether you’re an expert gourmand or a curious foodie, you’ve come to the right place. FOOD & WINE MAGAZINE - "Inspiration Served Daily." Recipes, menus, chefs, wine, cooking. FOOD SNOB - "Bon vivant vivant bien." Perceptive restaurant reviews. By Rafi. FOOD TRAILS - For everyone who loves travel and trying the local delicacies, this beautifully illustrated hardback is the must-have handbook to a year's worth of perfect weekends around the world for food lovers. There are 52 trails, each with gorgeous photography, a bespoke map, expert writing and practical details of how to get there and where to stay. This is the second in Lonely Planet's Perfect Weekends series. FORBES TRAVEL GUIDE - "Discover Star Rated Restaurants." The Gold Standard of Travel Ratings and Reviews. GASTROENOPHILE - "Fine food and wine, Michelin-starred restaurants." By Bruce Palling, food columnist for the Wall Street Journal Europe. GAULT MILLAU - "L'Expert gourmand." One of the most influential French restaurant guides founded by two restaurant critics, Henri Gault (1929-2000) and Christian Millau in 1965. GAYOT - "The guide to the good life." Restaurant reviews and dining guides. GEN.U.INE.NESS - "Tell me what you eat, and I will tell you what you are." – Jean Anthelme Brillat-Savarin. Excellent food blog from a medical student living in London. GOURMAND MAGAZINE - "The International Cookbook Revue." GOURMET MAGAZINE - focuses on good living, travel, entertaining, and culture. GOURMETSLEUTH.COM - "The Gourmet Food and Cooking Resource." Guide du Routard - since 1973. "Tout pour préparer son voyage." Guide GantiÉ - restaurants, gourmet shops in Provence-Côte d'Azur: Nice, Cannes, Toulon, Marseille, Aix-en-Provence, Avignon, Antibes and Mougins. Guide Hubert - "Répertorie les restaurants gastronomiques du Sud de la France (à partir de l'Allier) et de l'Ile-de-France au travers de deux-mille trois cents fiches détaillées." KINGS OF THE KITCHEN - "Master of Food & Wine"-video interviews with top chefs on DVD, or DVD-quality broadband downloads. LA LISTE - "Objectively Delicious. Deliciously Objective." Restaurants worldwide. 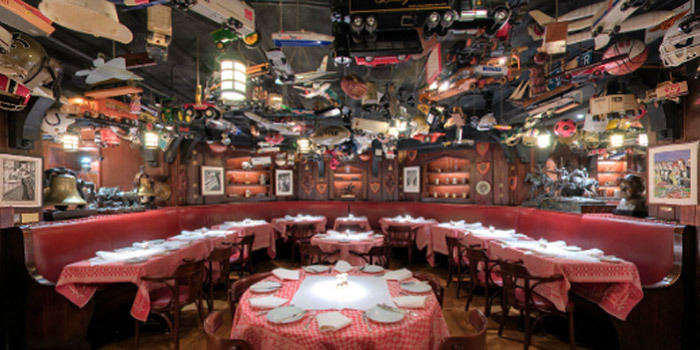 LES GRANDES TABLES DU MONDE - the Traditions & Qualité association was created in 1954 by a group of Parisian restaurateurs with the aim of promoting gastronomy and a specific Art de Vivre. The Association's 167 members in 24 countries and 5 continents represent the last word in gastronomy worldwide. Let's Go Out Again: Interiors for Restaurants, Bars, and Unusual Food Places - Amazon.com. MAD - "A community of chefs, cooks and farmers with an appetite for knowledge." A grassroots celebration of flavour and good eating – is an open and collaborative forum dedicated to presenting and discussing the past, present and future of all things food-related. MICHELIN RED GUIDES - a series of annual hotel and restaurant guides published by Michelin. First published in 1900 for France, Michelin introduced additional guides thereafter for other European countries. In 2005, it published the first guide for the United States focusing on New York City; followed by its first Asian guide in 2007 for Tokyo. In 2012, the Michelin Guide collection had 27 guide books covering 23 countries on three continents, with over 45,000 worldwide addresses. NEW YORK MAGAZINE - "New York Restaurants and Recipes. NYC Dining and Chefs." OPINIONATED ABOUT DINING - "A guide to where to eat & why you should eat there." RESTAURANT-RANKING.COM - "Gastronomy of distinction." Restaurant guide and rankings, top restaurants and star chefs. 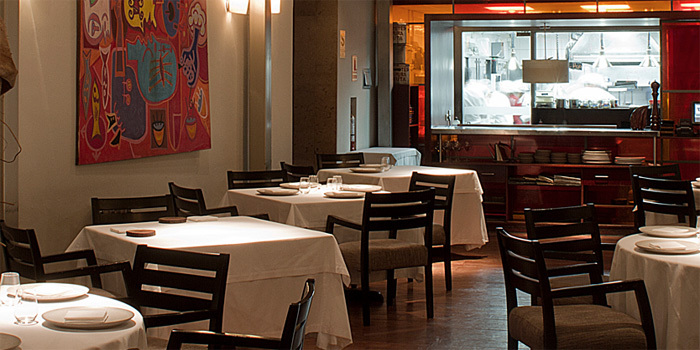 ROSSOUW'S RESTAURANTS - "The independent guide to South African restaurants." Saveur - "Savor a World of Authentic Cuisine." Magazine for people who experience the world food first. Created to satisfy the hunger for genuine information about food in all its contexts, the magazine emphasizes heritage and tradition, home cooking and real food, evoking flavors from around the world. STAR DIAMOND WORLD MAGAZINE - covers the best achievements and experiences around the globe in the hospitality industry. The 50 best things to eat in the world, and where to eat them - "From cake, steak and tapas, to oysters, chicken and burgers, Killian Fox roamed the world to find the 50 best things to eat and the best places to eat them in, with a little help from professionals like Raymond Blanc, Michel Roux, Ruth Rogers and Rose Gray." The Guardian | The Observer. THE AGE - Good Food Guides. Online shop. THE GOOD FOOD GUIDE- "UK’s bestselling restaurant guide. Since 1951 we’ve been reviewing and writing about restaurants, pubs and cafés, bringing together the best places to eat out from throughout the country." THE MIELE GUIDE - since 2008. "The first authoritative and independent annual guide to Asia's finest restaurants." Discover Asia's 500 best restaurants chosen with help from Asia's most respected food writers, restaurant critics and F&B professionals, public polling and incognito tasting by The Miele Guide's editorial team. THE PASSIONATE COOK - "Cooking is like love. It should be entered into with abandon or not at all." THE RELAIS & CHÂTEAUX GUIDE - since 1961. 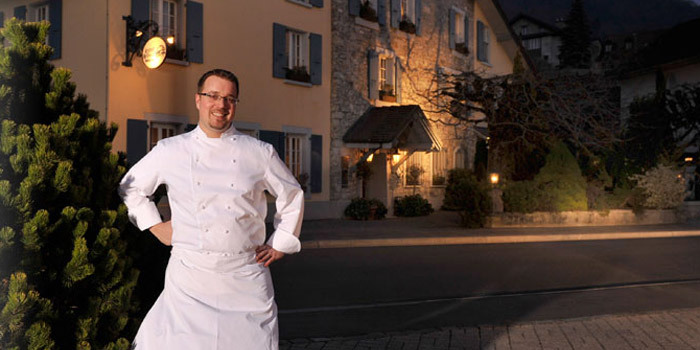 "Relais & Châteaux is a world in and of itself, unlike any other. A warm, welcoming, gourmet affair awaits where outstanding quality is coupled with each individual property's passion for their own region and its terroir." THE ULTERIOR EPICURE - "I live and travel to eat." Classy food blog from a well travelled gourmet. The world's 50 best restaurants - since 2002. List produced by British magazine Restaurant based on a poll of international chefs, restaurateurs, gourmands and restaurant critics. In addition to the main ranking, the Chef's Choice list is based on votes from the fifty head chefs from the restaurants on the previous year's list. 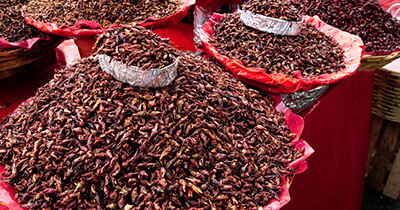 THE WORLD'S BEST FOOD - "Here's a list of where to find the world's best foods." THE WORLDWIDE GOURMET - gourmet recipes and grands chefs. VERY GOOD FOOD - Danish food blog. WBPSTARS.COM - "We ONLY review the best restaurants!" Wbpstars.com is about the very best restaurants in the world. This is the publication for everyone considering food more than just for eating, but a lifestyle. White Guide - "Best Restaurants in the Nordics." WINE SPECTATOR - upmarket wine and food magazine. Hundreds of delicious, wine-friendly recipes. Find a dish by the type of wine you want to pair with it, the type of food you want to serve or a key ingredient you have on hand. world's best places for extreme eating - Lonely Planet. 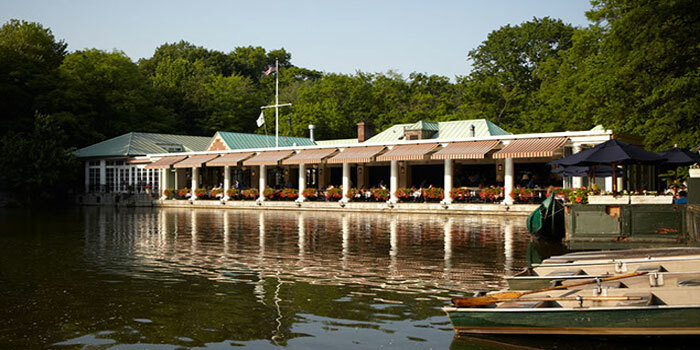 ZAGAT - "For those looking for exceptional experiences, Zagat has been the go-to source since our first guide was published over three decades ago." 5 Sauces for the Modern Cook - The New York Times. 7 delicious French destinations you've probably never heard of - The Telegraph. 7 Essential Apps for Aspiring Chefs, Even the Lazy Ones - Wired. 10 TOP-EARNING CELEBRITY CHEFS - Forbes. 11 Toughest Restaurants in the World to get a reservation - and How to Get Them. 13 Best Burgers, From Meaty to Meatless - The New York Times. 16 Coolest Places To Eat In 2016 - Forbes. 17 ridiculous restaurant menus from the Far East - The Telegraph. 50 Best Restaurants Announced Amid Criticism Over Voting - The New York Times. $600 dinner. Have we all gone mad? - The Guardian. 1944: The Times Discovers Pizza - The New York Times. 2015 World's 50 Best Restaurants - Restaurant Magazine. A Blurry Line Between Bar and Restaurant - The New York Times. A Chinese Delicacy Straight From the Swiftlet’s Mouth - Bird's nest soup. A Field Guide to the American Sandwich - The New York Times. A Food Tour of Seinfeld’s New York - The New York Times. À LA CARTE - definition & explanation. A new app lets women charge for a night out - The Verge. ALAIN DUCASSE - official website. AMERICAN ACADEMY OF HOSPITALITY SCIENCES - an establishment of reviewers specializing in the reviewing of hotels, resorts, spas, airlines, cruise lines, automobiles, products, restaurants and chefs. The most known aspect of the American Academy of Hospitality Sciences is the International Star Diamond Award. The award is the most prestigious award of true excellence in hospitality, gastronomy, attitude, quality, cleanliness and above all service. amuse-bouche - definition & explanation. Andrea Petrini - journalist, food writer and creative advisor. He spends a large part of the year on the road, travelling throughout the world to discover contemporary cuisine. ANDY HAYLER'S RESTAURANT GUIDE - "The only person who has been to every 3 star Michelin restaurant in the world." This site reviews the top restaurants of the world, including extensive coverage of 3-star Michelin restaurants across the globe. antipasti - definition & explanation. APPETITE MAGAZINE - "Looking for an article, restaurant review or a recipe is now made hassle-free". Appetizer - definition & explanation. ASI | Association de la Sommellerie Internationale - founded in June 1969 in France with the aim of developing and promoting the Sommelier profession, organises the International Competition for the World's Best Sommelier. BASIC TASTES - bitterness, saltiness, sourness, sweetness, umami, and piquance. 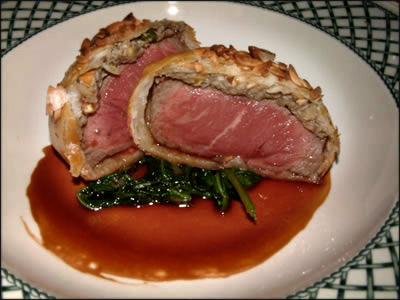 Beef Wellington - preparation of fillet steak coated with pâté (often pâté de foie gras) and duxelles, which is then wrapped in puff pastry and baked. Some recipes include wrapping the coated meat in a crêpe to retain the moisture and prevent it from making the pastry soggy. Benoît Violier’s apparent suicide highlights pressures on top chefs - The Guardian. best al fresco restaurants in London - The Telegraph. BEST EMERGING CHEFS AND CREATORS / THINKERS IN THE KITCHEN - Scoffiermagazine, Cahier Food & Gastronomy #1. 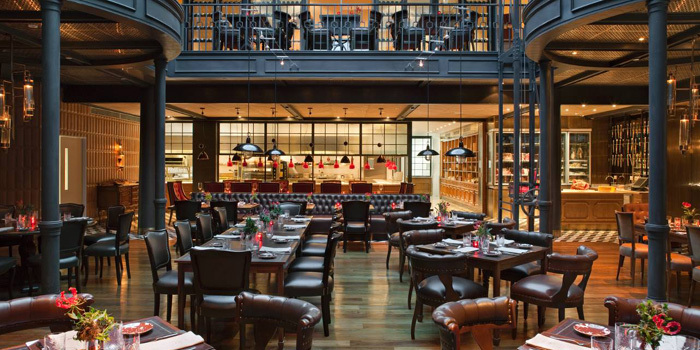 BIG HOSPITALITY - latest restaurant, hotel, bar product news, & business advice. BLT SANDWICH - (bacon, lettuce, and tomato) is a type of bacon sandwich. BOUILLABAISSE - traditional Provençal fish stew originating from the port city of Marseille. BRASSERIE - in France and the Francophone world, a brasserie is a type of French restaurant with a relaxed setting, which serves single dishes and other meals. 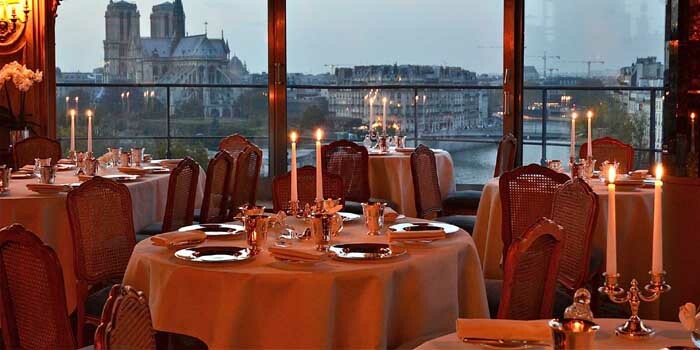 Buy a piece of Paris at the auction of one of its most famous restaurants - The Telegraph. BYOB - initialism meant to stand for "bring your own booze", "bring your own bottle", "bring your own beer" or "bring your own beverage". CAESAR'S SALAD - has romaine lettuce and croutons dressed with parmesan cheese, lemon juice, olive oil, egg, Worcestershire sauce, and black pepper. 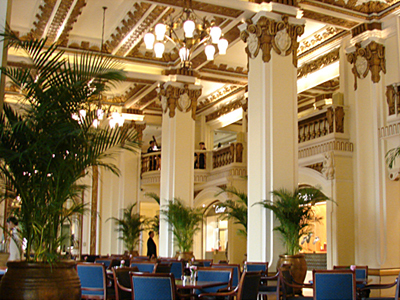 Cafeteria - type of food service location in which there is little or no waiting staff table service, whether a restaurant or within an institution such as a large office building or school. Can we change your mind about eating meat? - The Telegraph. CarÊme - (1784-1833). One of the first celebrity chefs known as the "chef of kings and king of chefs". CATERERSEARCH - the leading website for the UK hospitality community covering the hotel, restaurant, foodservice, pubs and bar sectors. CHAÎNE DES RÔTISSEURS - an international gastronomic association dedicated to bringing together both professional and non-professional members worldwide who appreciate and share a mutual interest in cuisine, wine and fine dining. Chef's Table - (2015-). American documentary series released on Netflix. Each episode of the series profiles a single world-renowned chef. chefs on food waste & using leftovers - The Guardian. 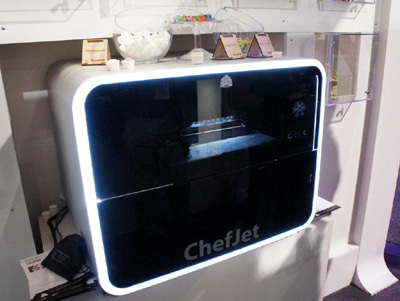 ChefJet - by 3D Systems: 3D printed food. Classic Dishes You Should Master - The New York Times. Classic Thanksgiving Dinner Menu - The New York Times. Claude Terrail - owner of La Tour d'Argent, Paris, France. Club des Chefs des Chefs | CCC - founded in 1977. "The most exclusive Gastronomic Association in the world." Extremely strict membership criteria: to be accepted into this highly elite club, you need to be the current personal chef of a head of state. CLUB SANDWICH - is a sandwich with two layers of fillings between 3 slices of bread. cocktail party - definition & explanation. CONVEYOR BELT SUSHI - Wikipedia. Cooking With Fire - The New York Times. CORKAGE FEE - definition & explanation. Crave Sydney International Food Festival - month long celebration of Sydney's obsession with food. Culinary tourism - or food tourism is the exploration of food as the purpose of tourism. It is now considered a vital component of the tourism experience. Dining out is common among tourists and "food is believed to rank alongside climate, accommodation, and scenery" in importance to tourists. CUTLERY - definition & explanation. Danish Hot Dogs at Grand Central Terminal, New York City - The New York Times. Danish immigrant Louis Lassen invented the American Hamburger in 1900 - Louis' Lunch. DIM SUM - Cantonese term for snack. Dim sum more typically refers to a style of Chinese food prepared as small bite-sized or individual portions of food, traditionally served in small steamer baskets or on small plates. DÎner en blanc - "Launched with just a handful of friends by François Pasquier nearly 30 years ago, Le Dîner en Blanc de Paris now assembles over 10,000 guest every year, with a record 15,000 people attending the 25th anniversary in 2013. Le Dîner en Blanc began as a strictly word-of-mouth event. Today, it has grown to rely on the Internet and social media to communicate with its members and others who are curious about the event. Although the technology behind this fantastic event may have changed over the years, the principles fueling it have not; guests continue to gather at a secret location with the sole purpose of sharing a gourmet meal with good friends at the heart of one of their city's most beautiful locations." Dinner and Deception - The New York Times. DINNER IN THE SKY - is hosted at a table suspended at a height of 50 metres, by a team of professionals. Dining Dead - A couple that eats at restaurants in total silence, very awkward, very sad. Dining Impossible - since 2009. "Three day eating extravaganza hosted by culinary ambassador Kristian Brask Thomsen, exploring the world through its finest cuisines in the company of jet setting gourmands and international notabilities." Doggy Bag - definition & explanation. ELEGANT-AFFAIRS - "Impeccable design for life's most important occasions." The Hamptons' famous catering firm. 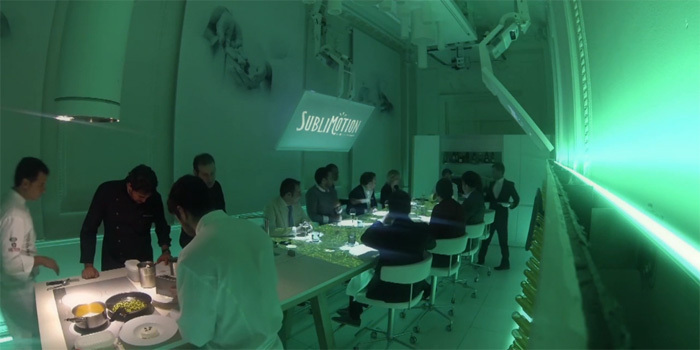 EL BULLI MOVIE 'Cooking in Progress' - by Gereon Wetzel. ENTERTAINMENT BOOK & CARD - Dine. Shop. Travel. Save. ENTRÉE - definition & explanation. ESCOFFIER - French chef, restaurateur and culinary writer who popularized and updated traditional French cooking methods. etiquette for eating sushi - The Telegraph. Every Michelin-starred restaurant on Earth - The Telegraph. feeding the super rich - "Money is no object when it comes to feeding the super rich. London ... This exclusive series follows the renowned food-finders who cater for the nouveau riche." FERRAN ADRIÀ - famed head chef of the El Bulli restaurant in Roses on the Costa Brava. flexitarianism - a combination of flexible + vegetarian + -ism. FOOD REFERENCE WEBSITE - everything about food: from articles and history to recipes and trivia quotes. Food Trends That Shaped 2015 - The New York Times. Forget Nathan’s, this is NYC’s best hot dog - New York Post. Forget smoked salmon: eel is having a revival - The Telegraph. France's 'fish soup' pizza beats Italy in World Pizza Championships - The Telegraph. FRENCH PARADOX - is the observation that the French suffer a relatively low incidence of coronary heart disease, despite having a diet relatively rich in saturated fats. Fugu - Japan's diners divided over killer puffer fish - The Guardian. Give Your Smartphone a Kitchen Apron, Too - The New York Times. Going Dutch - term that indicates that each person participating in a group activity pays for themselves, rather than any person paying for anyone else, particularly in a restaurant bill. GREAT CHEFS TELEVISION - a franchise of cooking shows and cookbooks. GUERILLA DINING - eating experience in which chefs and restauranteurs create temporary and exclusive dining opportunities in various untraditional locations. Hack the Menu - The Ultimate List of Secret Menu Items." Your one-stop resource for all Secret Menu items at all fast food restaurants. Secret Menus at restaurants are comprised of unofficial and unadvertised selections that fast food chains will make when ordered but that do not exist on their regular menus. Hakkasan - "Elegance, energy, invention." All locations. HAUTE CUISINE - definition & explanation. Hell's Kitchen - American reality-television cooking competition broadcast on FOX. It is hosted by celebrity chef Gordon Ramsay. HervÉ This - French physical chemist who works for the Institut National de la Recherche Agronomique at AgroParisTech, in Paris (France). His main area of scientific research is molecular gastronomy, that is the science of culinary phenomena (more precisely, looking for the mechanisms of phenomena occurring during culinary transformations). hors d'uvre - definition & explanation. HOSPITALITY NET - at the forefront of online publishing within the hospitality industry since 1994.
how plane food compares on 10 major airlines - The Telegraph. How to Beat the Line & Get Reservations at Hot New Restaurants - The New York Times. How to Complain at a Restaurant? Just Ask Our Critic - "Our restaurant critic, Pete Wells, explains why bringing your gripes to the management instead of anonymously torching the place online will make everybody happier." How to Eat Healthy Meals at Restaruants - The New York Times. How to make burgers - The New York Times. How to Snag a Reservation at That Oh-So-Popular Restaurant - The New York Times. How to throw a cheap (but elegant) dinner party - The New York Times. How to visit the world's 10 best restaurants The Telegraph. Ice cream for breakfast & Coke all day: the extreme eating habits of billionaires - The Telegraph. In Australia, Noma Forages for Ingredients & Inspiration - The New York Times. In pictures: The golden age of plane food - The Telegraph. 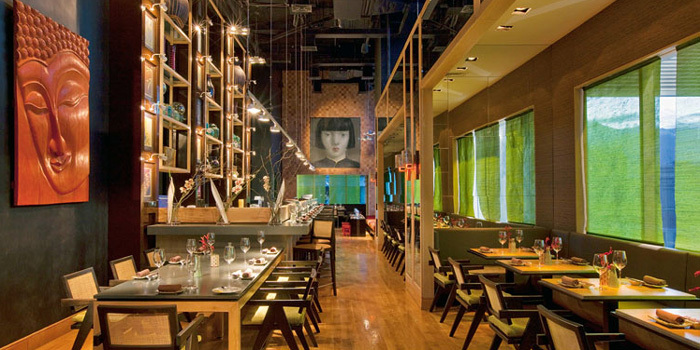 Incredible restaurant interiors - The Telegraph. Is this the best pizza in the world? - The Guardian. JAMIE OLIVER - "Official website for recipes, books, tv shows and restaurants." Japanese Chefs Make Their Mark in Paris - The New York Times. Joe Allen, Broadway’s Quiet Man - The New York Times. JRE | JEUNES RESTAURATEURS D'EUROPE - founded in 1974. Association of young restaurateurs. They have in common that they want to share their talent and passion for the profession with each other. In total there are more than 350 JRE restaurants in Europe. JUST-EAT - Europe's leading online food ordering provider. Operates in 8 countries, has 8,000+ restaurants online. LADIES WHO LUNCHED - Vanity Fair. "They were the ladies who lunched, when "lunching" was a verb and was—at such shrines as the Colony Club, La Côte Basque, and Le Cirque—impossibly glamorous, hugely entertaining, and utterly without purpose." Last supper? Japan's diners divided over killer puffer fish - The Guardian. Le Cordon Bleu - Wikipedia. LE CORDON BLEU INTERNATIONAL COOKING SCHOOLS - founded in 1885. The world's largest hospitality education institution, with over 50 schools on five continents serving 20,000 students annually. 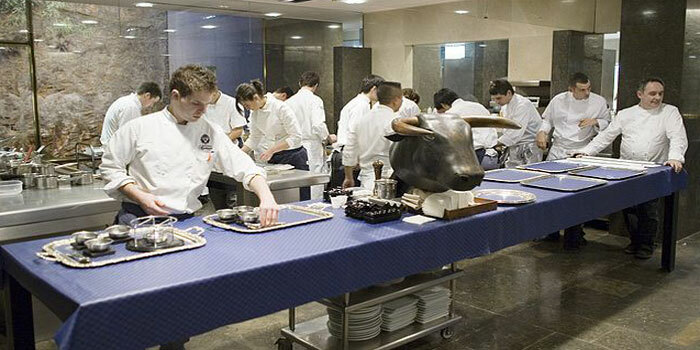 Its education focus is on hospitality management, culinary arts and gastronomy. LE GUIDE CULINAIRE - Georges Auguste Escoffier's pivotal book in the history of European haute cuisine. LIMECHILLI - the travelling chef. List of food days - Wikipedia. LIST OF FOODS NAMED AFTER PEOPLE - Wikipedia. List of Michelin starred restaurants - Wikipedia. London's best brunches - The Telegraph. Magnificent 10: Restaurants That Changed How We Eat - The New York Times. MaÎtre d' - manages the public part, or "front of the house", of a formal restaurant. Generally include supervising the waiting staff, welcoming guests and assigning tables to them, taking reservations and ensuring that guests are satisfied. Manhan Quanxi - Manchu Han Imperial Feast. One of the grandest meals ever documented in Chinese cuisine. 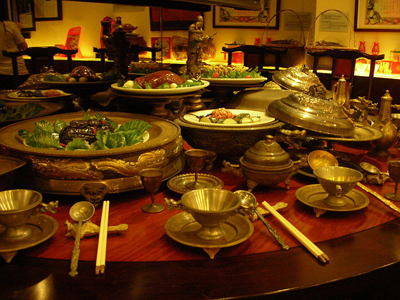 It consisted of at least 108 unique dishes from the Manchu and Han Chinese culture during the Qing Dynasty, and it is only reserved and intended for the emperors. Marie-Antoine CarÊme - (1784-1833). One of the first celebrity chefs known as the "chef of kings and king of chefs". Massimo Bottura, the Chef Behind the World’s Best Restaurant - The New York Times. matchstaff.com - "World's largest database of educated bar staff. for you. for free." 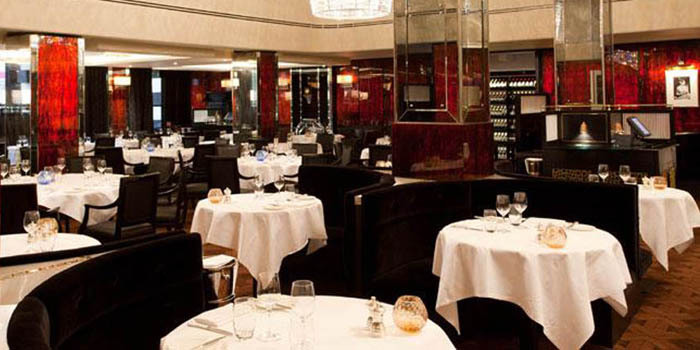 MICHELIN 3 STAR RESTAURANTS AROUND THE WORLD - Andy Hayler's Restaurant Guide. MOLECULAR GASTRONOMY - subdiscipline of food science that seeks to investigate the physical and chemical transformations of ingredients that occur while cooking. Favored by EL BULLI. NEW NORDIC CUISINE - the Manifesto. 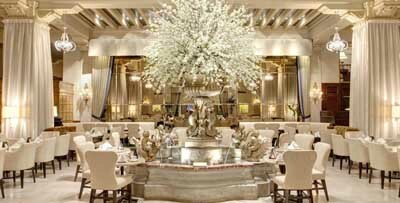 New York hotels with Michelin-starred restaurants - The Telegraph. New York restaurant create world’s most expensive grilled cheese sandwich for US$214 - Daily Mail. Nordic Food Court Rises at Grand Central, With an Order to Leave No Trace - The New York Times. NORDIC FOOD LAB - non-profit self-governed institution, with the purpose of scientifically exploring the New Nordic Cuisine. Note by Note cuisine - style of cooking based on molecular gastronomy, created by Hervé This. Dishes are made using pure compounds instead of using animal or plant tissues. Hervé This said the cuisine is like "a painter using primary colours, or a musician composing note by note". Notting Hill Yummy Mummy - "I am a self-confessed sybarite, who loves the pleasures of eating out in great restaurants, traveling to awe-inspiring places and staying in amazing hotels." NOUVELLE CUISINE - (French, "new cuisine") is an approach to cooking and food presentation in French cuisine. In contrast to cuisine classique, an older form of haute cuisine, nouvelle cuisine is characterized by lighter, more delicate dishes and an increased emphasis on presentation. It was popularized in the 1960s by the food critics Henri Gault, who invented the phrase, his colleagues André Gayot and Christian Millau in a new restaurant guide, the Gault-Millau, or Le Nouveau Guide. 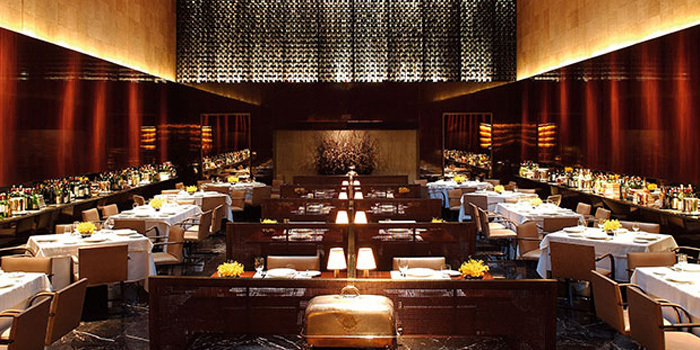 Occupy 50 best - "Online petition launched to protest World's 50 Best Restaurants awards." Offal - also called variety meats or organ meats, refers to the internal organs and entrails of a butchered animal. OPEN TABLE - "Make restaurant reservations the easy way: Find a restaurant, Choose a table, Book online: free, instant, confirmed. Trusted by 15,000 restaurants & 175 million diners." Ortolan bunting - bird in the bunting family Emberizidae, a passerine family now separated by most modern scholars from the finches, Fringillidae. In September 2007, the French government announced its intent to enforce long ignored laws protecting the bird. The ortolan is force-fed by being placed in a dark box with millet, where as a reaction to darkness it proceeds to eat continuously. One way French diners ate ortolans was to cover their heads and face with a large napkin for the gourmet's aesthetic desire to absorb the maximum odour with the flavour. This famous use of the towel was launched by a priest, a friend of Jean Anthelme Brillat-Savarin. In 1996, François Mitterrand's last meal included this specially prepared bird. 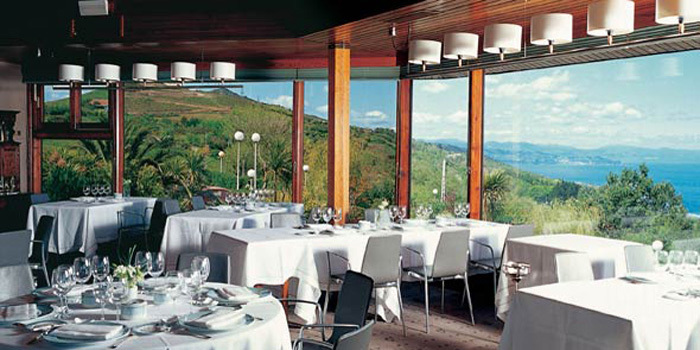 PAUL BOCUSE RESTAURANTS - 3-star Chef. Official website. 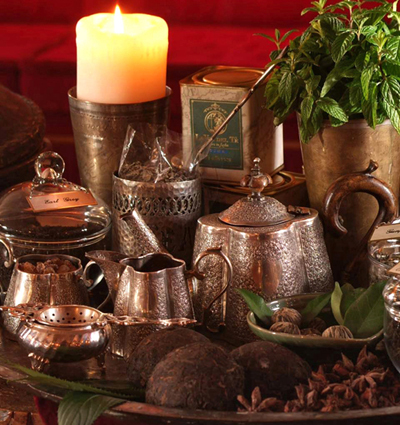 Persian Cuisine, Fragrant & Rich With Symbolism - The New York Times. PHO - is a Vietnamese beef and noodle soup. Pizza for Breakfast, but Not What You Think - The New York Times. Pop-up restaurant - also called supper clubs, are temporary restaurants. 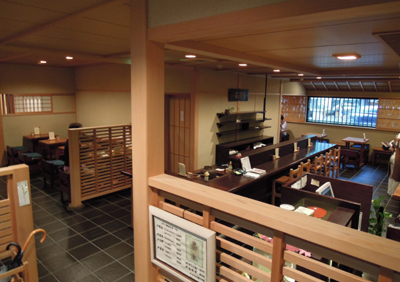 These restaurants often operate from a private home, former factory, or similar and during festivals. POWER BREAKFAST / LUNCH / DINNER - definition & explanation. PRIX FIXE - definition & explanation. Quinto quarto - in the cuisine of modern Rome quinto quarto (literally the "fifth quarter") is the offal of butchered animals. RAMEN - Japanese noodle dish that originated in China. 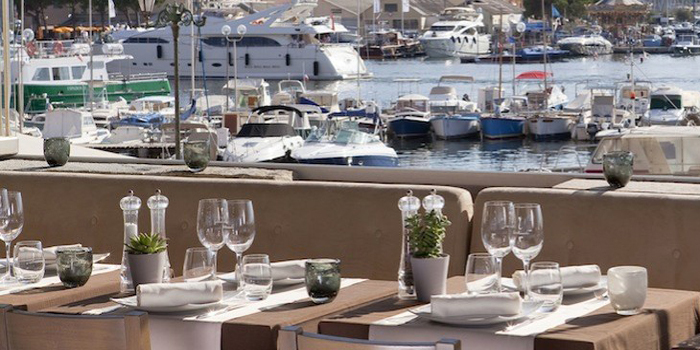 Relais de Porquerolles - when the 1966 edition appeared, the then-popular Paris fish restaurant Relais de Porquerolles found that it had not merely lost its two stars but that it had been dropped. Not too long thereafter the chef, Alain Zick, killed himself. He left no note. Restaurant - definition & explanation. RESTAURANT DAY - "A food carnival when anyone can open a restaurant for a day." Restaurant wine lists: how to choose a good bottle - The Telegraph. Restaurants That Changed How We Eat - The New York Times. Row after Chinese tourists charged £3,280 at Israeli restaurant - The Guardian. SASHIMI - Japanese delicacy consisting of very fresh raw meat or fish sliced into thin pieces. SAVEUR - authentic recipes, food, drinks, and travel. Scientists discover ‘sixth taste’ - and it could explain our love of pasta, potatoes and bread. Secret McDonald's menu DOES exist - and here's what you need to ask for - Mirror Online. SHU | SCOVILLE HEAT UNITS - the "heat" unit of chili peppers is measured in. Slider (sandwich) - a small sandwich, typically around 3 in (7.6 cm) across, served in a bun. The term primarily refers to small hamburgers, but can also cover any small sandwich served on a slider roll. SLOW FOOD - good, clean and fair food: to counteract fast food and fast life. Stagiaire - unpaid internship when a cook or chef works briefly, for free, in another chef's kitchen to learn and be exposed to new techniques and cuisines. STRANGFORD LOUGH OYSTERS - (Coounty Down, Northern Ireland) nominated as world's best. Sushi burgers are the latest viral food trend - The Telegraph. TABLE D'HÔTE - definition & explanation. TAKE-AWAY FOOD - definition & explanation. The Explorers Club Once Served Mammoth at a Meal. Or Did It? - The New York Times. The (Fake) Meat Revolution - The New York Times. THE NAKED CHEF - was Jamie Oliver's first series. T'e title was a reference to the simplicity of Oliver's recipes. THE STARS ROUTE - "Gourmet Festival. Michelin Stars." Created in 2010, “The Stars Route' is identified as one of the most important high quality gastronomic festivals that take place in Portugal, involving, since that date, more than half a hundred national and foreign chefs awarded with the famous Michelin Guide stars. THE SUPER GREEN LIST - connecting human and ocean health. Top 10 Restaurant Dishes of 2015 - The New York Times. Top 100 Restaurant Lists - Opinionated About Dining. Top 200 U.S. Restaurants 2017 - Opinionated About Dining. Top Chef - American reality competition show on the cable television network Bravo, that first aired in 2006, in which chefs compete against each other in culinary challenges. They are judged by a panel of professional chefs and other notables from the food and wine industry with one or more contestants eliminated in each episode. Top New York Restaurants of 2015 - The New York Times. TRIPADVISOR - reviews of vacations, hotels, resorts, restaurants, vacation and travel packages. True World Foods - one of the largest wholesale distributors of fresh and frozen seafood and specialty grocery items in North America. Trust Me. Butter Is Better - The New York Times. Trustpilot - founded in 2007. Portal gathering reviews on online shops to be used as advertising for their clients. Trustpilot is active in 16 countries including Denmark, Sweden, Norway, the Netherlands, the United Kingdom, Germany, France, Italy and USA. TSUKIJI FISH MARKET - Tokyo, Japan. The biggest wholesale fish and seafood market in the world and also one of the largest wholesale food markets of any kind. UberEats is coming to 10 more towns - "Now your Uber driver will bring food to you rather than the other way around." Ultimate kung pao chicken - The Telegraph. UMAMI - savory taste, is one of the five basic tastes, together with sweet, sour, bitter, and salty. Venice authorities step in after four tourists charged £1,000 for meal - The Guardian. Vital Restaurant Inspection Information - "What You Need to Prepare for and Survive an Inspection." WAGYU ("KOBE") MEAT - from Australia. 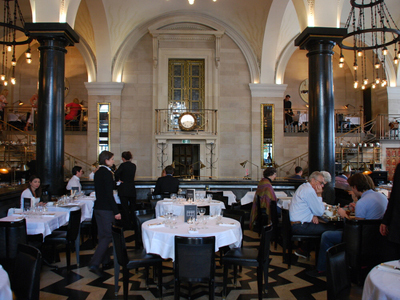 WBP STARS - "We review the best restaurants in the world! Today the wbpstars.com team has dined at more than 2,500 fine dining restaurants in more than 100 countries and we are now ready to tell you what we have come up with so far." Where to eat the best oysters in London - The Telegraph. Why a New York restaurateur is arming employees with Apple Watches - The Guardian. World Pizza Championship - since 1991. Event held annually to determine the world's best pizza makers. World Steak Challenge: the world's best sirloin steak revealed - The Telegraph. world's greatest cities for food - The Telegraph. World's 50 Best Restaurants 2015 - Restaurant Magazine. 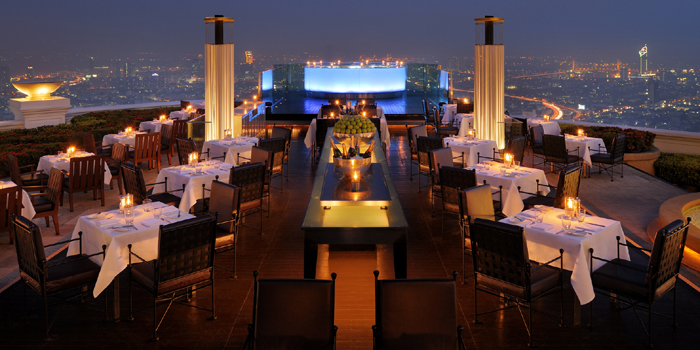 world's best rooftop restaurants - The Telegraph. world's longest pizza – in pictures - The Guardian. world's most beautiful new restaurants & bars - The Telegraph. world's most expensive food & drink revealed - The Telegraph. Would you pay $100 for this 'haute' hot dog? - The Telegraph. YACHTCHEFS.COM - chef recruitment for yachts. Your McDonald’s Order Will Tell Us Your Exact Age - BuzzFeed.